Facilities - How Many Do You Want? We Cater for 4x4's (Road and Non-Road Legal) and Enduro Bikes plus a re-designed 2km enduro cross track which is our old MX track. 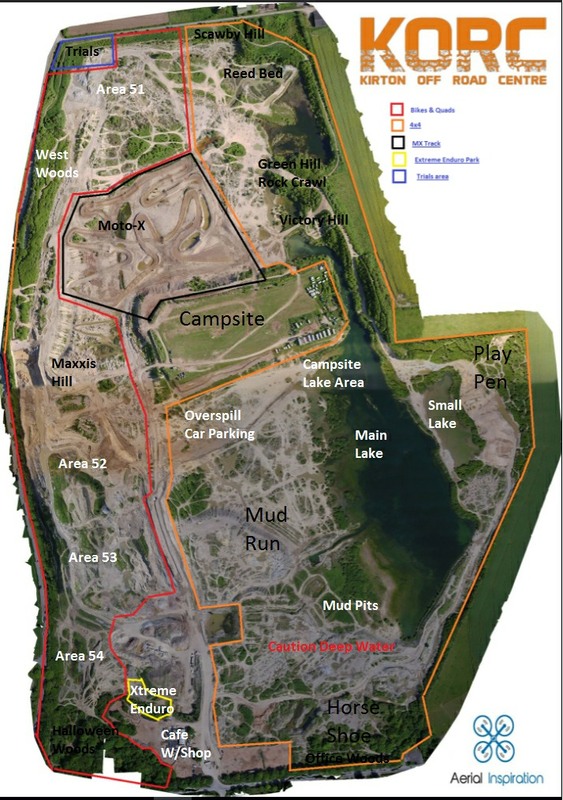 A total of 426 acres to explore for 4x4s and 360 acres for the bikes and quads to explore. We also have a Mountain Bike Centre with around 12km of varying standards of trails. Join the North Lincs Community Cycling Group with an annual membership of £25 or just pay and play for £5 per day! Bring your own Vehicle or In House Driver Experience, Corporate Entertainment and Venue Hire. KORC Sport has established itself as the UK's premier off road pay and play site. Our customers come from far and wide to sample the delights of over 600 acres for various sports on offer. Our site is in demand from many well known names within the off-roading world including The All Wheel Drive Club, Northern Off Road Club, Pennine and District Land Rover Club, The Howling Wolf Challenges and many more. Our site is regularly used for magazine photo shoots (Total Off Road Magazine, Land Rover Enthusiast, Land Rover World etc.) and National Geographic programme filming for Megacar Superbuild. We also offer one-on-one or group driver training days which cover all disciplines of off road driving from basic vehicle control through to advanced winching techniques and mechanical awareness. These courses provide an excellent opportunity for beginners or for those wishing to hone their skills further. They also make an excellent gift! Our locality to the ferry port of Hull (25 miles) has allowed for regular customers who travel from France, Russia, Denmark, The Netherlands and Germany (that we know of!). For those who do not wish to use our camping facilities we have excellent relations with top quality local hotels. Of course we welcome all our customers, local or from foreign climes with the same enthusiasm and professionalism they deserve. Not only do we see all variants of your standard 4x4’s like LandRover, Suzuki, Toyota, Mitsubishi, Mercedes etc, we have on many occasions been host to customers with Unimogs, Pinzagauers, Tanks and the infamous Hummer! fuel types will always be with us! as an award winning fully covered and seated cafeteria, excellent camping grounds (caravan accessible), flushing toilets, hot showers etc. We are supported both in and out of house with services that further satisfy your enjoyment, from T-shirts and other clothing with KORC Sport Logos to stickers and vehicle decals. 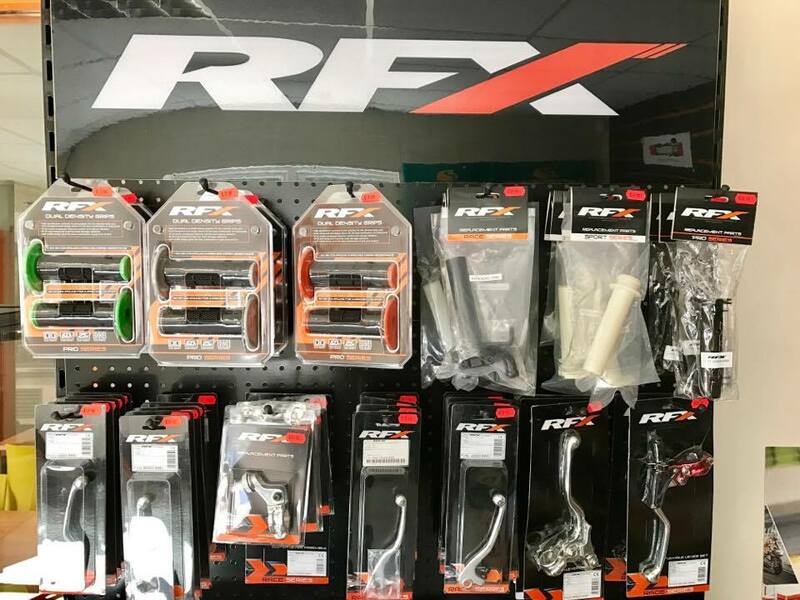 We also have a fantastic range of Off-Road 4x4 & Enduro / Motorcross Bike accessories spare parts and oils. Our team of marshals provide an excellent safety and recovery service and are more than helpful to our customers. So, if this is your first time at dipping your tyres into off-roading or you are a seasoned pro, standard road vehicle or dedicated off-road monster we promise you that you will not be disappointed, we truly believe that you will be impressed! Our Rules Here At KORC. Please Read Them Carefully So You Can Ride Or Drive Safely And Enjoy The Experience. KORC Has Miles After Mile Of Tracks That Are Waiting Just For You And Your Trusty Machine To Explore!